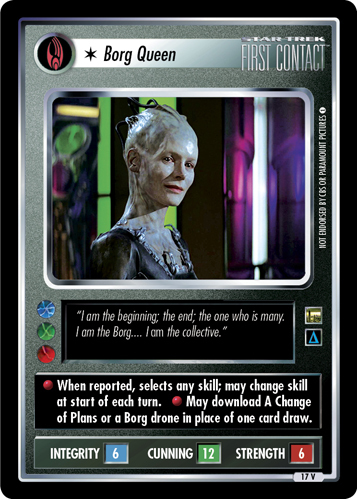 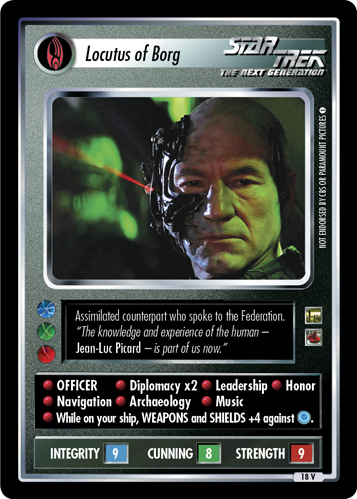 Assimilated counterpart who spoke to the Federation. 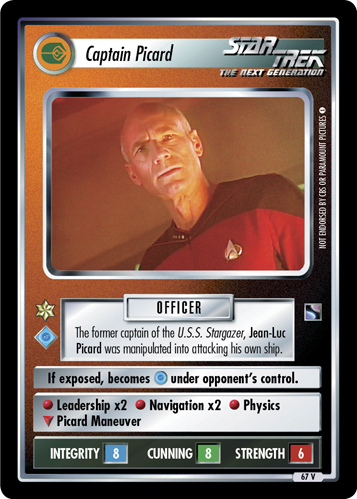 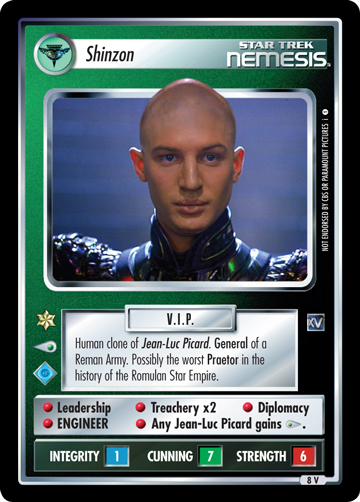 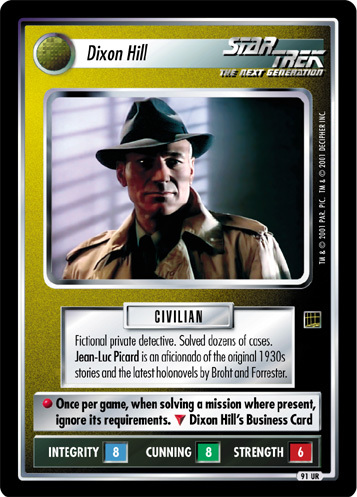 "The knowledge and experience of the human - Jean-Luc Picard - is part of us now." 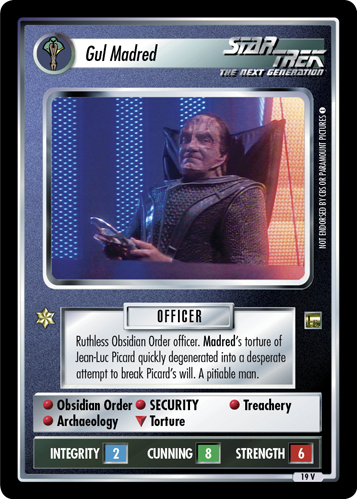 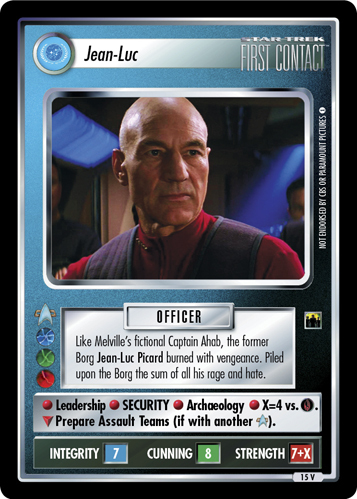 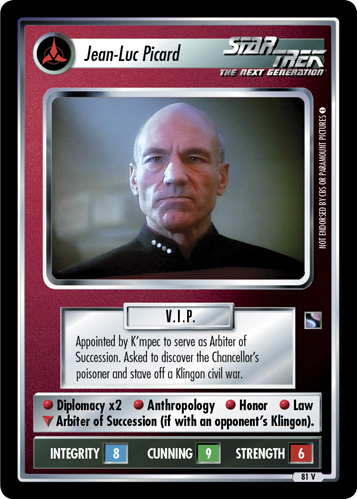 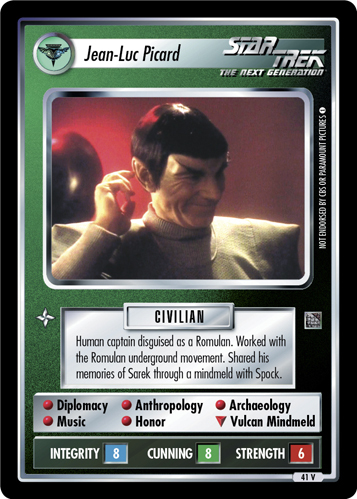 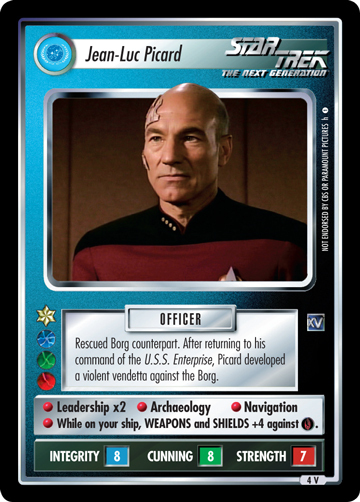 • OFFICER • Diplomacy x2 • Leadership • Honor • Navigation • Archaeology • Music • While on your ship, WEAPONS and SHIELDS +4 against .